SAN LUIS OBISPO, California (August 8, 2013) – Rugged Radios introduces the new RW-H43 Wireless Headset that connects to a Bluetooth cell phone for hands free calls and music streaming. The RW-H43 features a 5-Pin radio port to connect a 2-way radio, providing the same communication operations found on all other offroad headsets. After pairing a Bluetooth cell phone, calls can be answered and hung up with the single press of a button on the headset. Stream music from a Bluetooth device for the ultimate in cable-free audio enjoyment. Listen to your favorite rhythms as you roll! 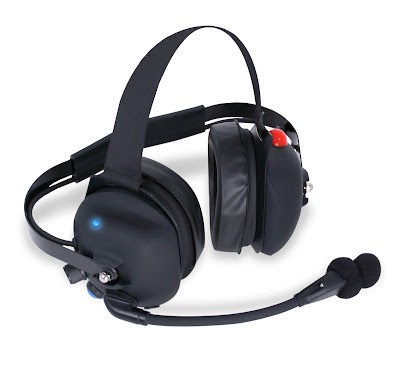 Additional features include dynamic noise-canceling mic, full flex mic boom, volume control, push-to-talk button with waterproof cover, and large comfortable ear seals. In addition, the RW-H43 features a rubberized coating to reduce scratches while aiding in audio clarity. Less wires, more options — only from Rugged Radios! Rugged Radios, based in San Luis Obispo, CA develops and provides complete communication products for consumers, enthusiasts, and professional race teams. Clear and powerful communications without the clutter of cables. Simple pairing between the Rugged Wireless Adaptors make this an easy set up while allowing you to keep your existing 5-pin headset or offroad helmet kit. Rugged Wireless technology brings clean and powerful communications without the clutter of cables. Ideal for anyone looking for easy connectivity without the cables. Perfect for offroad, UTV, rock crawling, spotters, and more. It’s also perfect for anyone who wants to enjoy the pure simplicity of cable free communications.